Come to see the most beautiful coral reef and stunning variety of marine animals in the second largest barrier reef in the world. 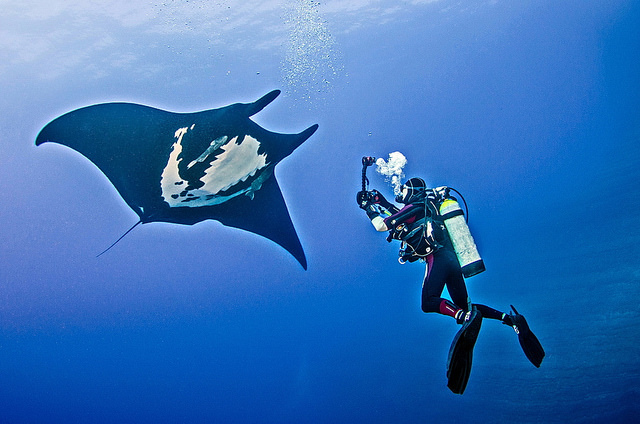 The Yucatan Peninsula is home to exotic marine species such as Whale Sharks, Manta Rays, Hammerheads, Jewfish and more! Snorkel with these magnificent sea creatures. Swim in the crystal clear waters of the unique cenotes and let us guide you through an adventurous week that you will remember for a lifetime! Swim with the Whale Shark, the largest fish in the world! Overnight in Cancun. Dive in the Los Picos area with a good chance of encountering Hammerheads, Jewfish and other large marine animals. Overnight in Cancun. Dive at Cozumel, a diver’s paradise. Overnight in Cancun. Swim with the Whale Shark, the largest fish in the world! A second opportunity at snorkeling with these gentle giants would help maximize the number of Whale Sharks the group will get to see. Overnight in Cancun. Dive trip to the unique cenotes of the Yucatan Peninsula. Overnight in Cancun. Arrival at Cancun airport. Transfer to your hotel. Overnight in Cancun at Rey del Caribe or similar (3 stars). Swim with the Sailfish, the fastest fish in the world! Overnight in Cancun. Dive with the Bull Shark! Bull Sharks can sometimes be observed lying motionless on the seabed. Overnight in Cancun. Swim with the Sailfish, the fastest fish in the world! A second opportunity at snorkeling with these fast animals would help maximize the number of Sailfish the group will get to see. Overnight in Cancun. Swim with the Sailfish, the fastest fish in the world! Or choose for another activity such as visiting Mayan ruins. Overnight in Cancun.